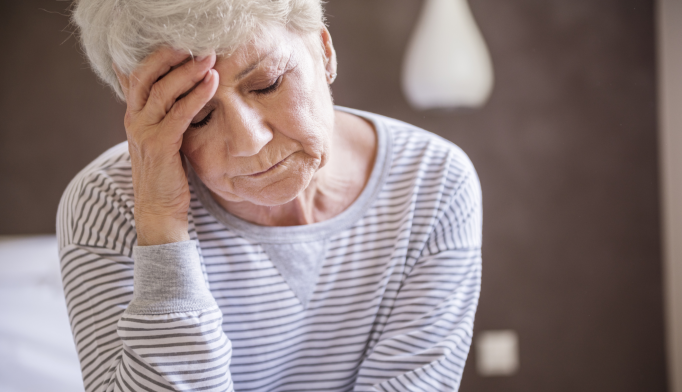 Whether depression is a risk factor for dementia or a symptom of an underlying neurodegenerative process is a complex question. “Our results suggest that tracking older persons’ depressive symptoms over time in clinical settings may help identify individuals at greatest risk for dementia,” wrote Allison R. Kaup, PhD, of the San Francisco Veterans Affairs Medical Center, and her colleagues. They monitored the depressive symptoms of 2488 older adults, average age 74, from Memphis, Tennessee, and Pittsburgh, Pennsylvania, from 1997 through 2002. Adults who developed dementia during those 5 years were excluded from the study. Those with high, increasing symptoms had a 1.9-times greater risk of developing dementia than those with minimal symptoms after confounding adjustment. No similar adjusted risk existed for those with moderate, increasing symptoms. Before accounting for cardiovascular health, smoking, and cognitive health changes during depressive assessments, those with moderate symptoms had a1.3-times greater risk of dementia. Kaup AR, Byers AL, Falvey C, et al. Trajectories of depressive symptoms in older adults and risk of dementia. JAMA Psychiatry. 2016; Mar 16. doi:10.1001/jamapsychiatry.2016.0004.